Brought into the game in the seventh inning of this May 1988 game, Clemente Acosta was still pitching in the ninth, his team up 9 to 2. Acosta, however, was still in line for the save - by the end of the seventh, Augusta had only been up by a run. So, after starting off the ninth by giving up a double and a walk, Acosta settled back in and finished off his fourth save of the year, The Charleston Sunday Post/Courier wrote. Though still May, the save ended up being the final save Acosta would record on the year. It would also be the second to last save he would record in his professional career. The Dominican reliever would switch to starter two years later, then back to relieving. But, regardless of how he pitched, Acosta would never made the majors. Acosta's career began in 1986, having been signed by the Pirates. Referred to then by his given first name, Jose Acosta, Acosta pitched for the Pirates' Gulf Coast League team. There, he made 20 relief appearances, with an ERA of 2.82. He also saved five games. For 1987, Acosta moved to short-season Watertown, starting three games and coming into 17 others in relief. He went 2-3, with an ERA of 1.32, saving six. He hit Augusta in 1988, saving those four contests. In 33 total relief appearances, he had an ERA of 3.96. He returned to August for 1989, posting a 5.29 ERA and saving a single game. It was his last season with the Pirates organization. 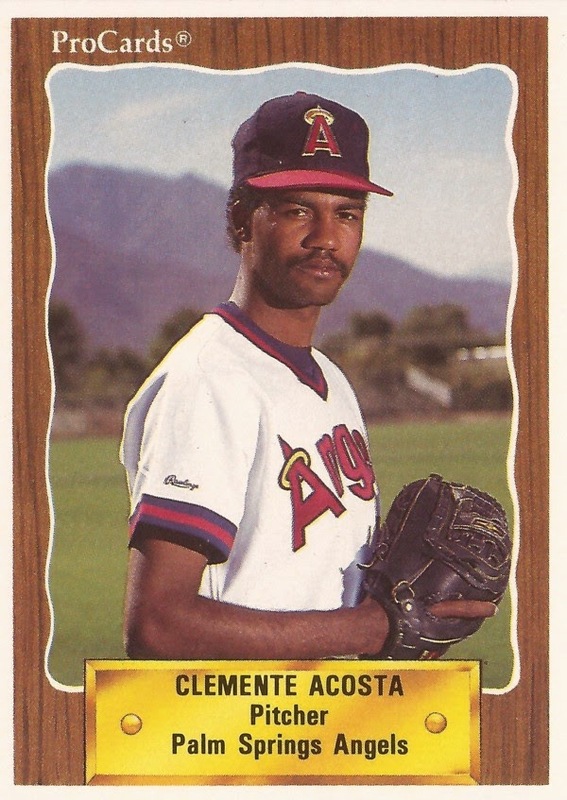 By 1990, Acosta was in the Angels organization, and going by his middle name, Clemente. He played that year largely at single-A Palm Springs, as a starter. He went 10-10 in 26 starts, with an ERA of 4.40. He even got a two-game look at AA Midland that year, going 1-0. He returned to Midland for 1991, but in 37 games, six starts, he went 0-6. He also had an ERA of 7.28. Acosta saw one more season, 12 appearances at Midland and his career was done, short of the majors.